2016 was another busy, eventful year for the sport in Wales and the awards were hotly contested. The Year had highs and lows but saw the popularity of the sport increase, as the fans turned out to support their favourite fighters. The 24-year-old Clydach Vale product trains at Gary Lockett’s gym in Cardiff. After injury stalled his progress in 2015, he showed his full potential in 2016 while lifting the British and WBO European super welterweight titles. 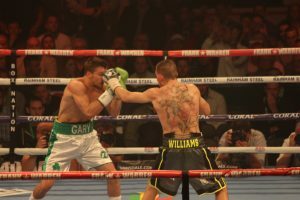 Liam Williams (16-0-1, 11 KOs) registered three wins over Gustavo Alberto, Gary Corcoran and Gabor Gorbics in front of packed crowds and TV audiences, his performances bring plaudits from pundits and fans. The great thing is that you know there are even better years ahead. The fight on the 16th July, that was aired by Boxnation, matched two headstrong and ambitious prospects. Neither man was willing to give ground and the pair put on a great display. There could only be one winner and it was the greater talent of Williams that prevailed, as he put his man down in the eleventh and forced a stoppage. The Gary Lockett trained prospect claimed two stoppage victories in 2016, stopping prospect Ramesh Ahmadi and Phil Smith. The Swansea super flyweight is showing power to compliment his boxing ability and undoubted talent. Since turning professional in 2013 he has a 9-0, 6 KOs record. Still only 26-years-old, he has a bright future ahead and the next step must be to fight for national titles. Three fights and three wins in his debut year. 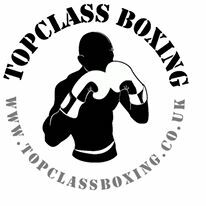 Trained by Tony Borg at St Joseph’s Boxing Club. The 26-year-old lightweight is already showing a quality jab and has brought praise from many in the game. Two fights in Wales and one in London to cap an excellent year. 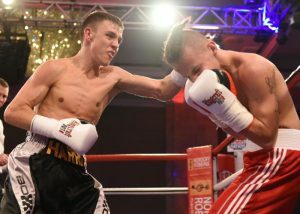 Ebbw Vale boxer Ashley (5-0, 2 KOs) had a busy year fighting four times. She won all four bouts and claimed stoppage wins over international opposition, Gabriella Mezei and Claudia Ferenczi. In 2017, we can expect to see Wales’ No.1 female fighter chasing World titles. 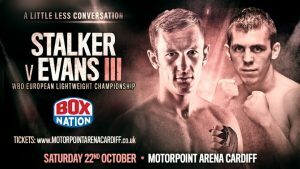 Blackwood lightweight Evans lifted the WBO European title at the Motorpoint Arena, Cardiff, on the 26th of November. 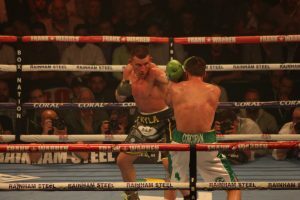 His opponent was Liverpool’s Thomas Stalker. The evenly matched pair had fought twice before, both times resulting in a draw. This third time there was only one winner. 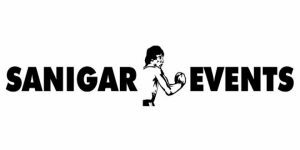 Tony Borg trained Evans, has the skills and ability and put it all together to win a well-deserved majority decision over Stalker. If 2015 saw the emergence of “The Kid” in the UK, as he battled his way up the ranks then 2016 showed he can compete, and win, on the international stage. 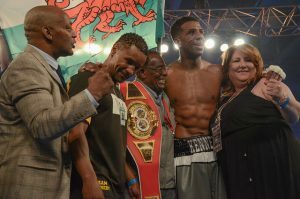 His win over the giant Joel Tambwe Djeko, of Belguim, at the Ice Arena Wales in Cardiff, was not only a fantastic fight but also a brilliant occasion. Televised live on Channel 5 it was a fight that proved Kennedy’s heart (getting up off the floor), composure and boxing ability. The 14th May was the day that Craig Kennedy proved any doubters wrong. To go along with the win were victories over Lukasz Rusiewicz and Arturs Kulikauskis. Craig Kennedy holds a perfect record of 16-0, 8 KOs. Honourable mention: Nathan Cleverly vs Juergen Braehmer, Lee Selby vs Eric Hunter. Not many boxers can claim to have gone to Germany and claimed victory. 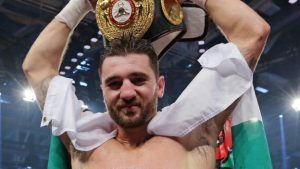 On the 1st October, Nathan Cleverly (30-3, 16 KOs) not only claimed victory over German Juergen Braehmer but also became the WBA World light heavyweight champion. 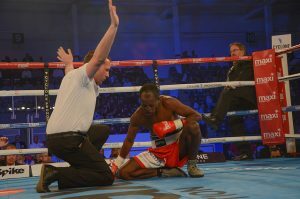 The stoppage came at the end of the sixth round, with the defending champion unable to continue claiming injury. Cleverly had been getting on top of his opponent and the momentum was with him. The win was even more remarkable given that it was the Welshman’s only contest in 2016 and he is now a two-time World champion. ‘El Chacal’ rolled into Cardiff as one of the best P4P boxers on the planet. 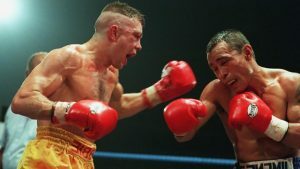 The much avoided Cuban took on Liverpudlian James ‘Jazza’ Dickens at the Ice Arena Wales, Cardiff, on the 16th of July. 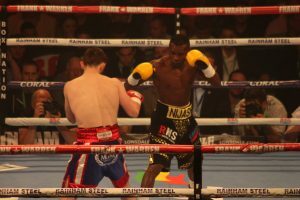 The visit was brief as Rigondeaux broke his opponent’s jaw, in the second round, with one punch. Many Greats have fought in Wales but not many as special as Guillermo (17-0, 11 KOs). It is hard to come back from a defeat. In 2015, Nathan lost a memorable war with top contender Andrzej Fonfara, over twelve rounds, in Chicago. In 2016, his only contest of the year, he went to Germany to lift the WBA World light heavyweight title. Not many win in Germany but Nathan became a two-time World champion. Now that is some comeback! Tony Borg, as a trainer, has won just about every title available in boxing and at all levels. 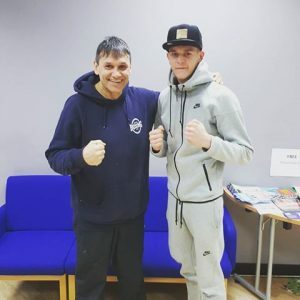 He trains a vast stable of boxers out of the St Josephs Boxing Club including IBF World featherweight champion Lee Selby and his brother Andrew. 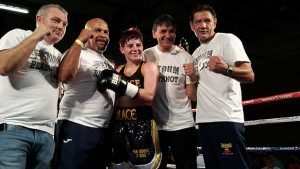 Tony trains female boxer Ashley Brace, WBO European champion Craig Evans, prospects Kyle Jones, Mitchell Buckland and Gavin Gwynne to name a few. 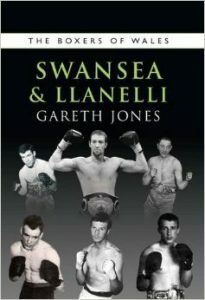 The author of ‘The Boxers of Wales’ series which has covered Cardiff, the Rhondda, Merthyr and in the latest volume, Swansea & Llanelli. A long-time presence ringside in South Wales covering the sport for the oldest publication Boxing News. A man of incredible boxing knowledge and writing talent. Commentating live on TV during a fight is a difficult task and many get criticised unfairly. 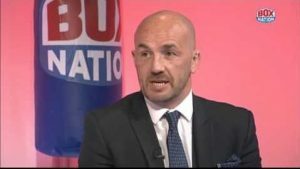 In Cardiffian Barry Jones (18-1-1) you have a former WBO World super featherweight champion, who has the knowledge of the sport both inside and out of the ring. His relaxed, friendly style has brought praise from fans, due to his excellent work covering fights for Boxnation. 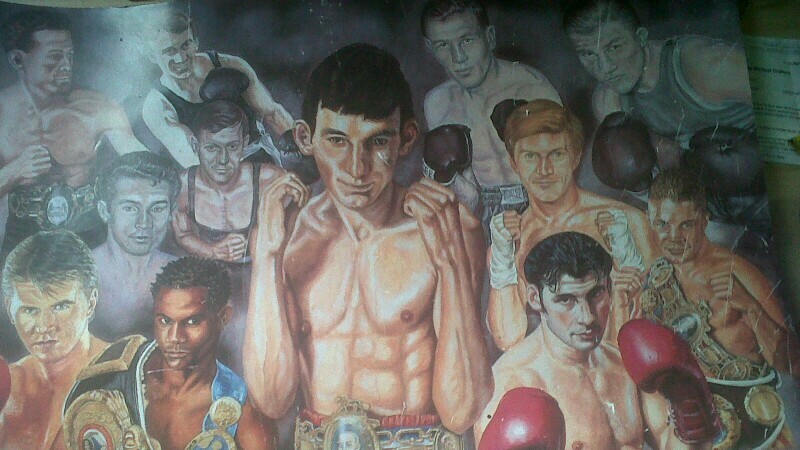 20 Years since Robbie Regan (17-2-3, 7 KOs) won the WBO World bantamweight title. Not many Welsh boxers have claimed the ultimate prize in the sport. 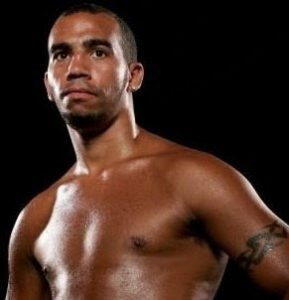 Regan superbly beat Puerto Rican Daniel Jimenez, at the Welsh Institute of Sport, Cardiff, in 1996. While he never got the chance to defend the belt, he has never been forgotten by fans. In 2016 the champion celebrated his special achievement to the acclaim of all. A constant presence in the rings of Wales during 2016. An excellent official who travelled the length and breadth of the UK to officiate in Glasgow, London, Walsall, Bristol and Plymouth to name a few. Wales has been blessed with quality referee’s over the years and in Reece has another top class third man in the ring. Wales’ only professional MC. The product of the Rhondda has showcased his talents all over the UK and even took his unique brand to Europe. His distinctive voice and control will surely see him become the UK’s No.1. 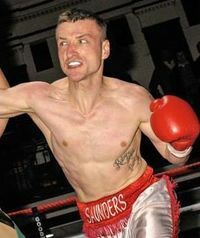 On the 30th April, Cardiffian lightweight Saunders met Wrexham boxer Kerry Evans at the Kings Hall, Stoke-on-Trent, England. Saunders had his man down twice before referee Kevin Parker waved off the assault. Two wins in 2016 from three fights. The veteran former Commonwealth champion took the unbeaten record of Justin Menzie at the historic York Hall and travelled to Dublin to take Luke Keeler the distance. The 35-year-old Bradley (38-21, 20 KOs) even had time to get a win in Newport. Chris and, his son, Jamie promoted five shows in South Wales during the year. They promoted in Merthyr Tydfil, Newport, Cardiff and Tylorstown. They also promoted a show in London that featured three Welsh boxers. 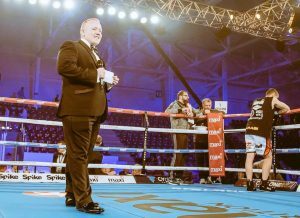 The Bristol outfit has carried on the great work by Steve Sims, to keep boxing alive and kicking in Wales. Duncan Brown’s ring card girls have kept crowds attention even when the fights haven’t. The premier outfit in Wales.